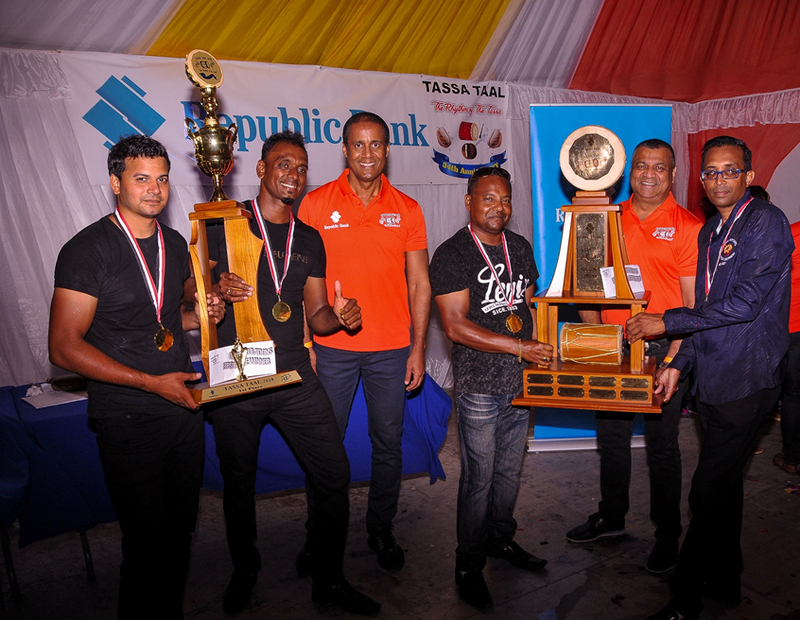 Central Rhythmz’s hat trick was hotly contested by second place winners, the Dragon Boys Tassa Group, who missed out on the first place trophy by only two points, and the Qualitech Sanjay Boys Tassa Group who came in at third place. The competition was equally intense in the junior category, with Debe Hindu Primary School leading the group in first place, closely followed by Avocat Vedic Primary School in second place and the Dayanand Memorial Vedic Primary School further behind in third place. Tassa Taal is the country’s oldest running tassa competition and a highlight of our local cultural events calendar. Each year, the event brings family and community together in celebration of one our country’s most cherished art forms. The competition has grown from the early days of six participating bands to sixteen bands and continues to command a steady following of young people, due in no small part to the junior competition. Delivering remarks on behalf of Republic Bank, Executive Director, Roopnarine Oumade Singh explained that the Tassa Taal competition highlights the importance of protecting, promoting and preserving our cultural heritage for the enjoyment and fulfillment of those who will continue the tradition after we are no longer here. He also shared his hope for the community of Penal and our wider society to continue to use Tassa Taal as an opportunity to come together in the spirit of competition, in celebration of tradition and the practice of the positive values that define us as a nation.